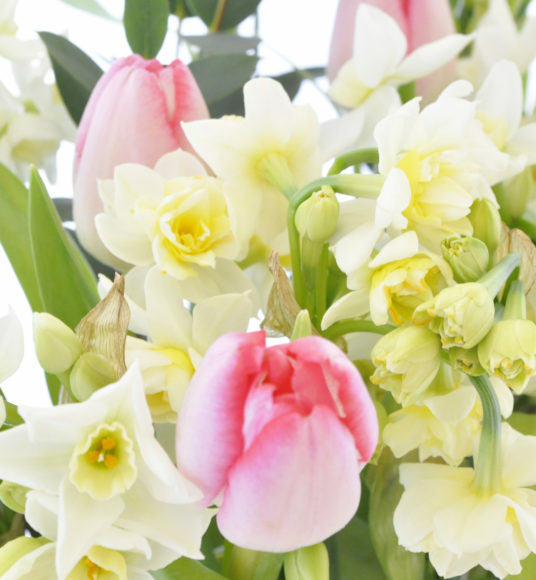 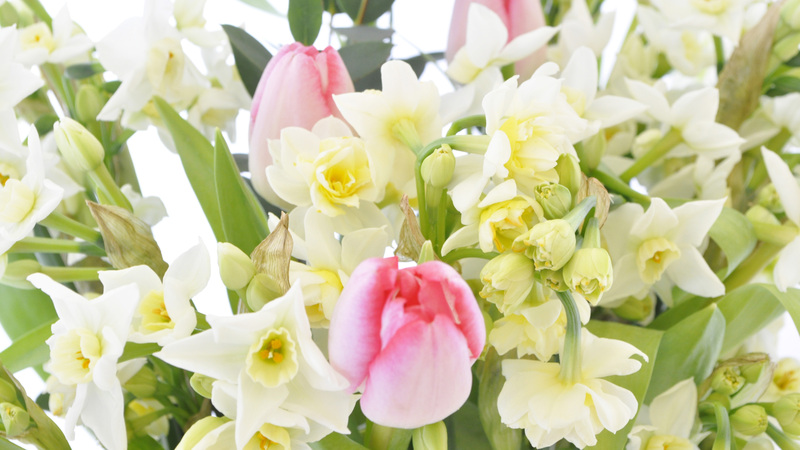 A lovely mixture our white and cream scented narcissi with pretty Tulips. 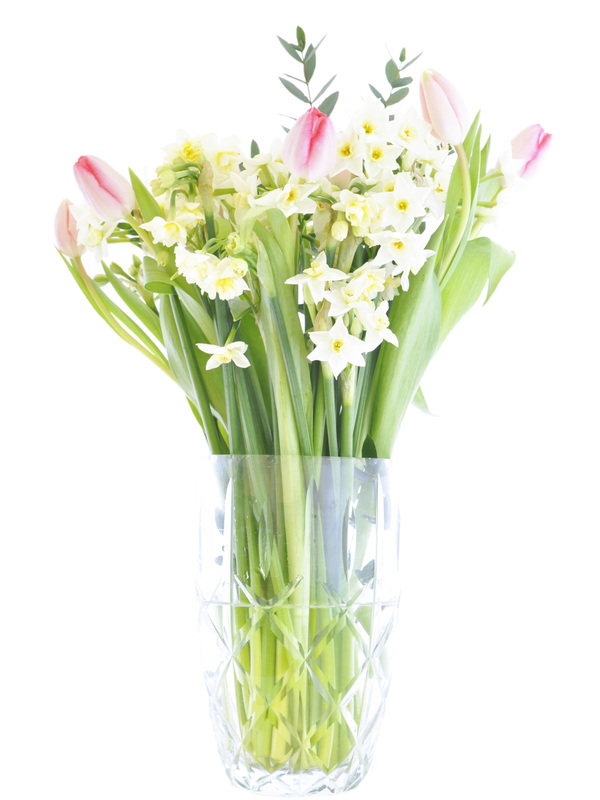 Our Love from Cornwall bouquet features 50 stems of our multi-headed cream and white Narcissi, with 10 stems of pretty Tulips. 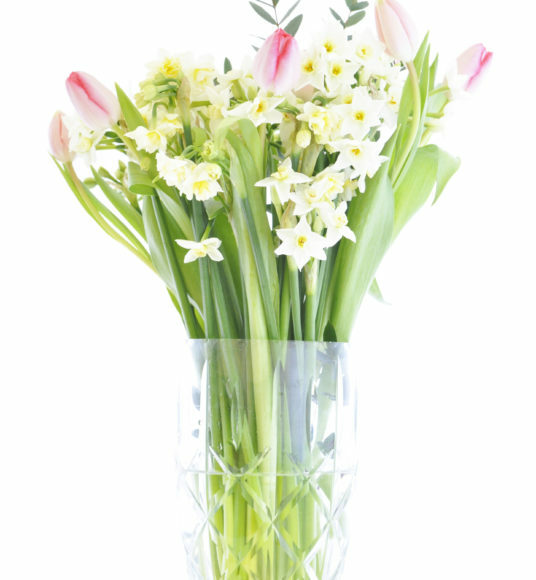 Our flowers arrive in a specially designed box, simply gift wrapped to let the flowers speak for themselves, and tied with ribbon. 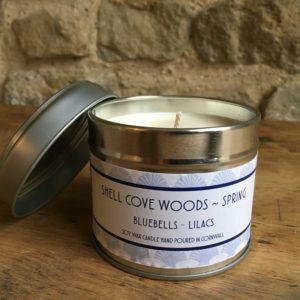 We can send this little piece of Cornwall throughout the UK, using Royal Mail 1st class delivery.